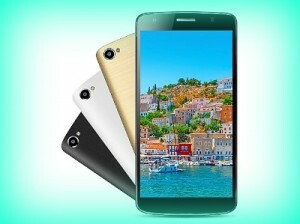 Intex Aqua Star II HD is the new budget smartphone from the company that is launched for the Indian market. It will be made available for a price of Rs. 6,590. This is a dual SIM mobile phone and will be offered in silver, white and grey colors. New Delhi: Intex Aqua Star II HD comes with 5 inch display and the resolution of it is 720 x 1280 pixels. The new handset from Intex is powered by quad core Spreadtrum SC7731 processor whose clock speed is 1.2 GHz. The processor is paired with 1 GB RAM and is provided with 8 GB internal storage. Memory can be expanded up to 32 GB via micro SD. The handset comes equipped with 8 megapixel primary camera and 5 megapixel front facing camera for capturing selfies. It comes out of the box with Android 4.4.2 Kitkat operating system. Connectivity features of the handset are WiFi, 3G and Bluetooth. It gets its juices from 2000 mAh battery that is under the hood. “Through this new launch we aim to define our purpose of unleashing an economically attractive and technologically luring smartphone in the market. Our latest offering – the Aqua Star II HD – is available at an amazing price point. We are delighted to offer such an outstanding product and hope to continue this in the coming future,” said Sanjay Kumar Kalirona, Intex Technologies Mobile Business Head on launching of the new budget handset. This entry was posted in Launches, Tech on May 5, 2015 by Rakesh.